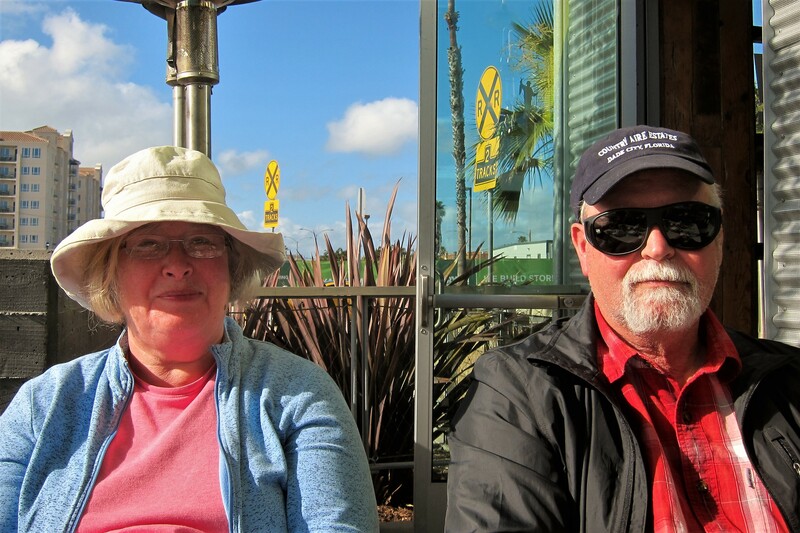 Thursday, February 16, 2017: In the previous episode, our good friends from Maine, Jeff and Catherine, had just arrived in town and met up with us at the Fiddlers Cove Military RV Park located in Coronado, California. There was a bit of a mix-up in Jeff’s government credentials that almost caused them to seek other accommodations, but fortunately we were able to work it all out. 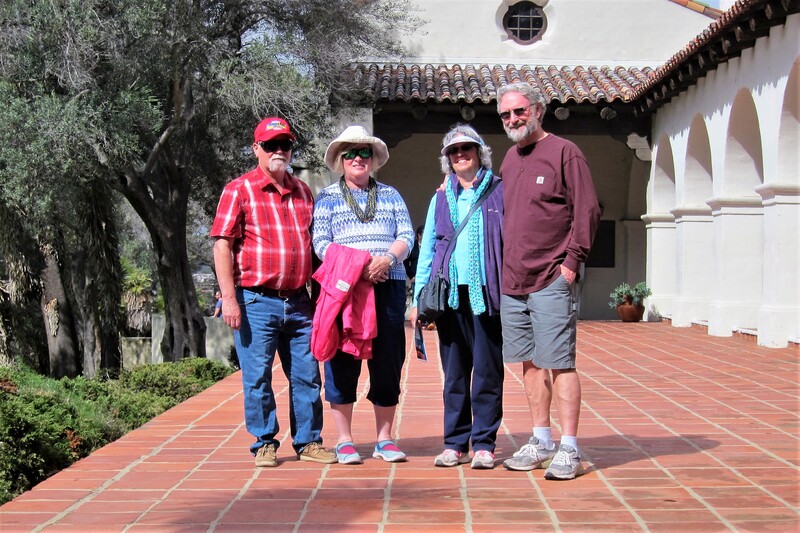 Both couples were to depart in the morning to head for another RV Park to the north, so we made the most of this afternoon to show Jeff and Catherine around the village of Coronado…first stop was the old city hall where Kit and I were married. 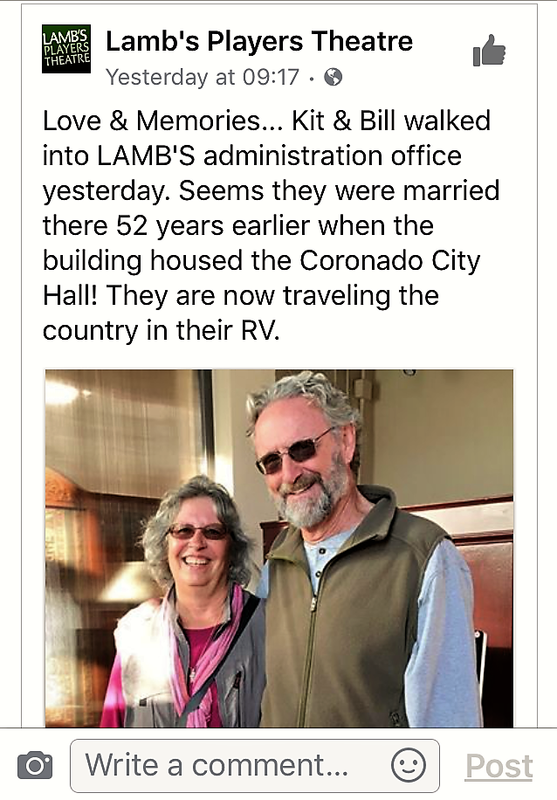 Today we were in luck because the administration office of what is now the Lamb’s Players Theatre was open and the folks inside were delighted to meet us and hear our story…in fact they took photos and placed the visit on their Facebook page! Thanks folks, we will be back to see one of your productions. 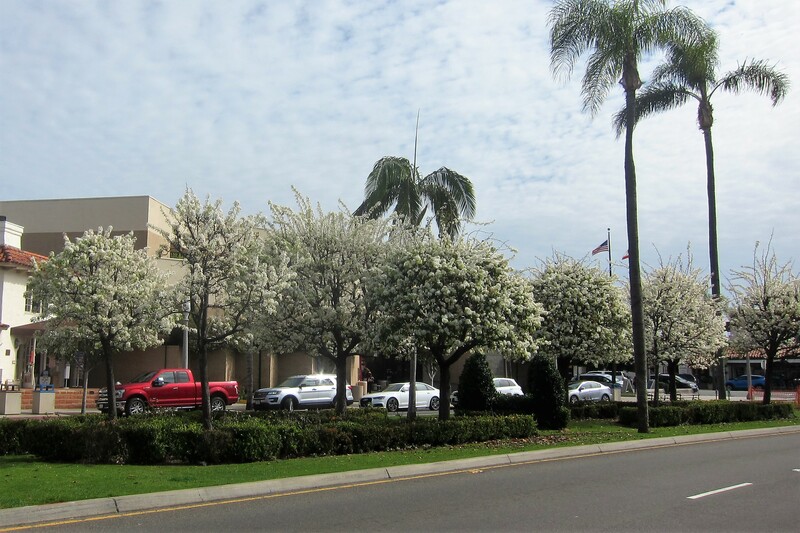 Next, we walked through the neighborhood where the Spring season was beginning to spring forth. 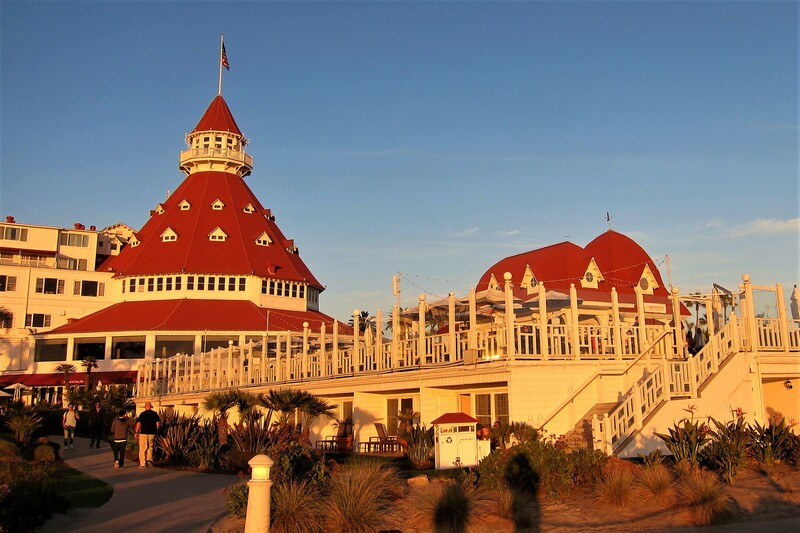 Then on to the beach, and a return visit to the Hotel del Coronado. 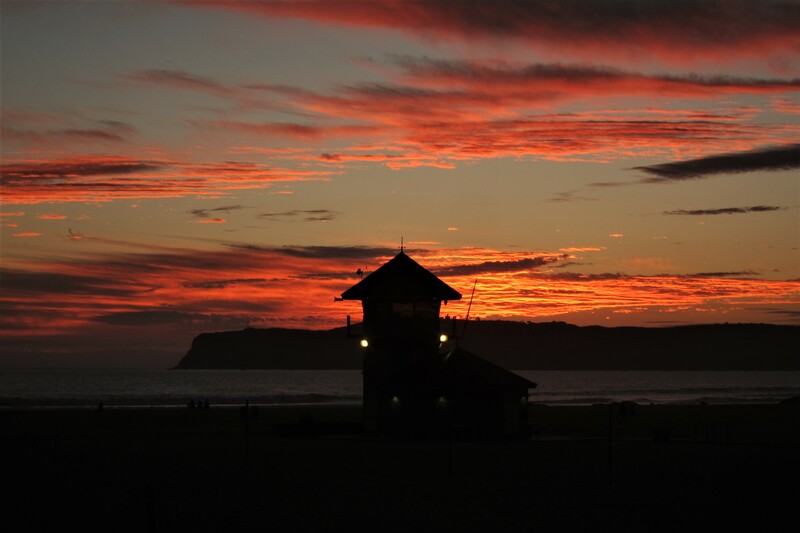 Where we enjoyed the final sunset from the Coronado shoreline for this year. Friday, February 17, 2017: Woke to a weather alert of an approaching storm and high winds, so after contacting Jeff and Catherine, we thought it would be prudent to pull chocks and head out before she began to blow! Heading south to Imperial Beach in order to avoid passing over the San Diego Bay Bridge then we looped around the bay and headed north on The Five. 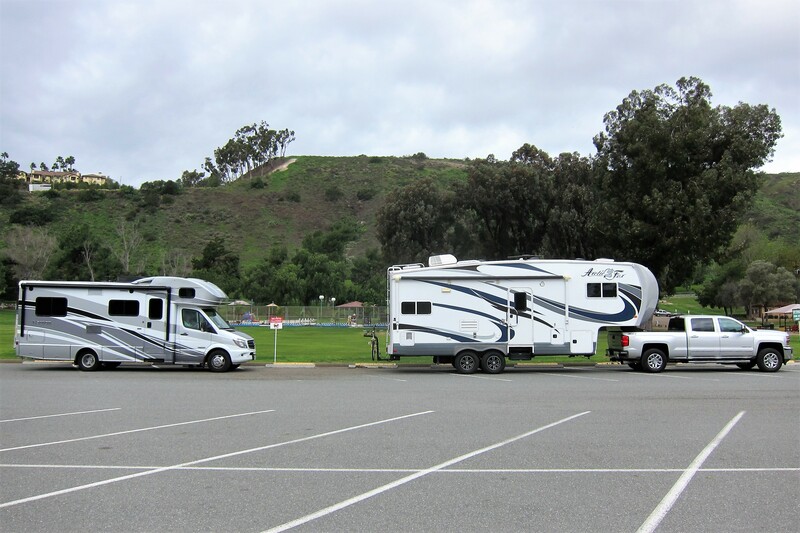 As the winds picked up intensity, we successfully managed the 45-minute trip and pulled into our next destination, Admiral Baker RV Park located in the Mission Valley section of San Diego. After setting up our prospective camps and grabbing lunch, we all took a ride to Miramar Marine Corps Air Station to see about getting Jeff an official Government Civilian Retiree ID Card. However, upon arriving, we discovered signs on the door of the office indicating they had closed early due to the incoming storm. Um, don’t chuckle folks living in Maine, these folks are not used to bad weather! Back at the campground, we shared a meal and enjoyed a few drinks while visiting and discussing activities for the next couple of days. 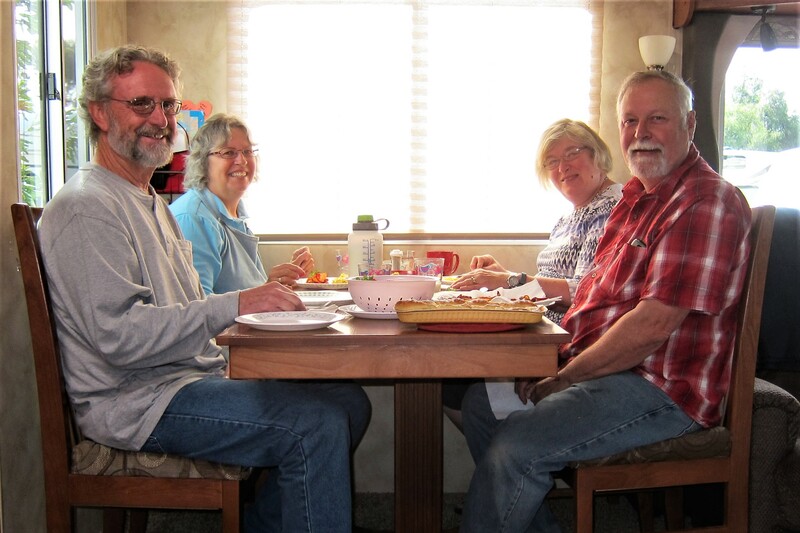 Saturday, February 18 through Monday, March 12, 2017-Admiral Baker RV Park, San Diego, CA: Following a restful evening, we all gathered in our camper for breakfast and an opportunity to plan the day. 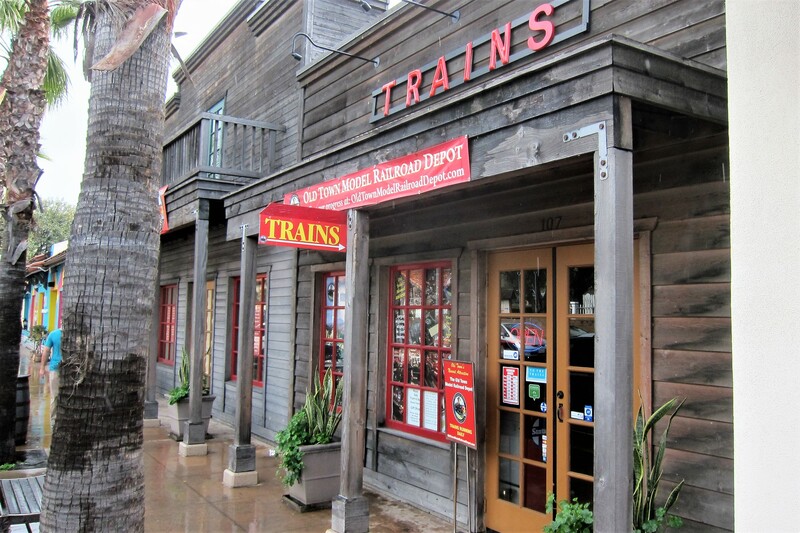 As mentioned many times in the past, Kit and I grew up in San Diego, just a few miles to the west from where we are currently camped, so we made some recommendations to Jeff and Catherine and asked them to list things they would enjoy seeing and places they would like to explore…top of the list was anything train related! 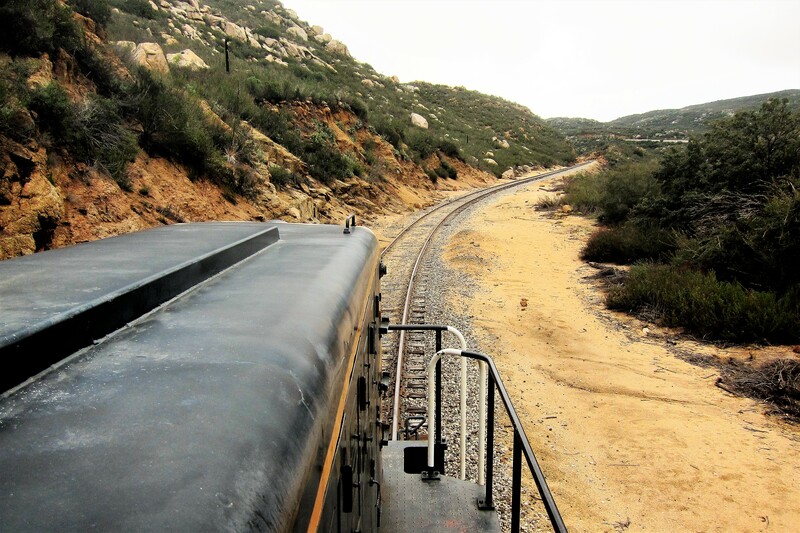 You may remember, that about this time last year, Jeff and Catherine were rolling through Southern California and stopped to spend a few days with us at Potrero County Park located in the coastal mountains of San Diego. 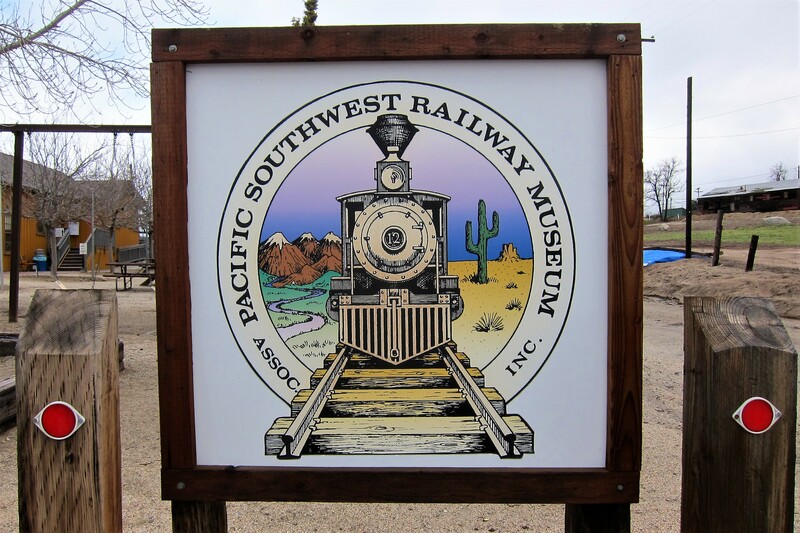 As avid railroad enthusiasts, they wished to see the Pacific Southwest Railway Museum located in Campo. But alas, the museum was on winter hours and closed during the week. 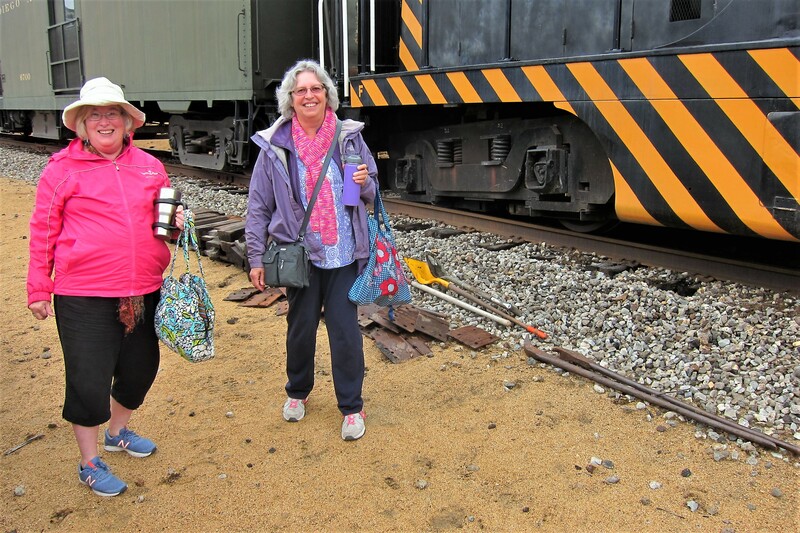 However, that didn’t stop we intrepid trespassers from finding a way into the railyard and poking about…well, until we were noticed and asked to depart the premises. 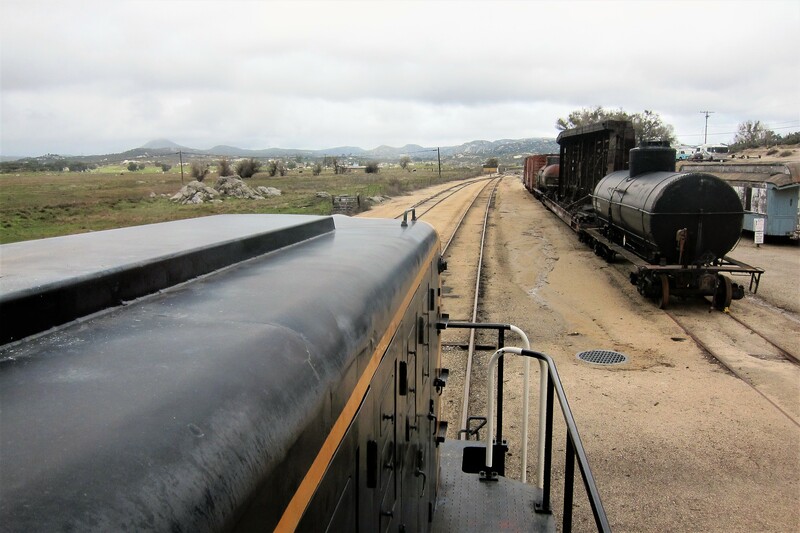 Fast forward to this year, and we made it our mission to finally see the museum and possibly take a ride on one of their operational excursion trains. For an added fee, two folks could ride in the cab of the locomotive and get a real education on how to operate the controls. Jeff has taken advantage of this opportunity a few times in the past, but agreed to accompany me, a real rail neophyte. 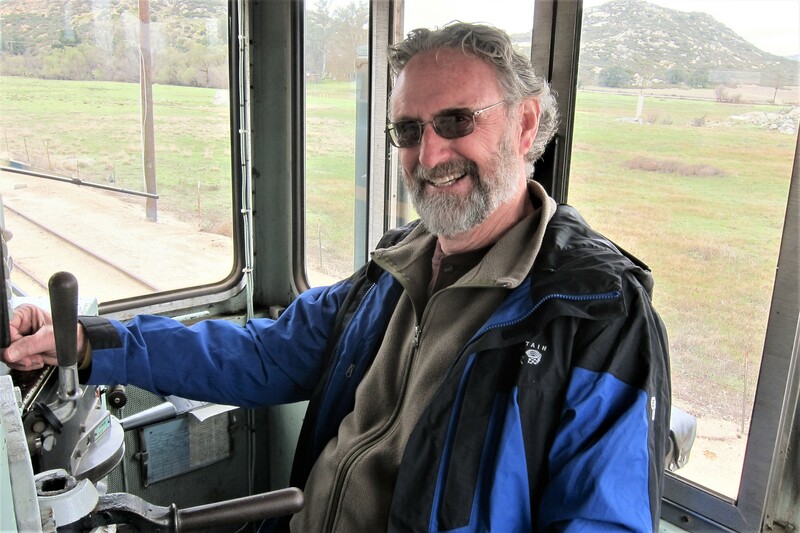 Sitting at the engineers control station with that mighty diesel engine rumbling was a thrill, and I stayed way clear of the control that the operating engineer instructed me to never touch. With the professional back at the throttle we were rolling south through the California countryside, without a care in the world. Well, until about a mile from the station that is, when a bump, then a shudder, followed by another bump and a horrible screeching sound caused the engineer, and Jeff to glance at each other with a worried look on their faces. 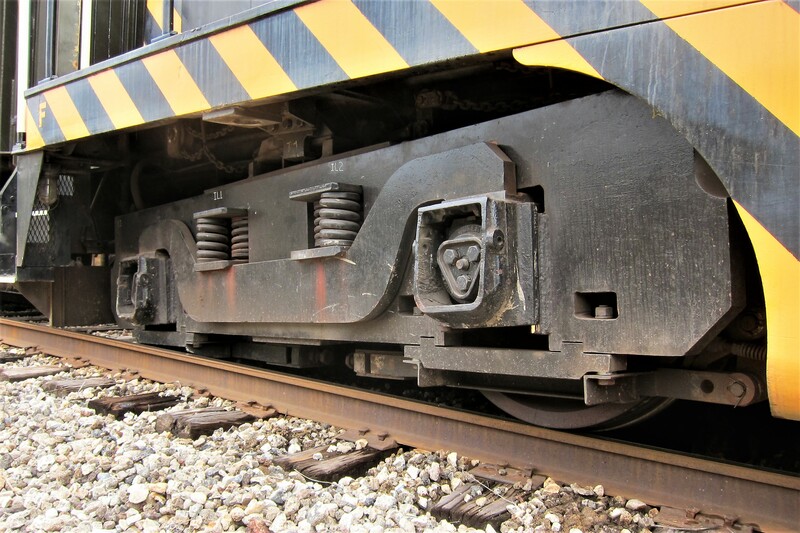 Then the engineer grabbed the radio microphone and blurted out that we were “on the ground” …which I thought was appropriate for a train until Jeff explained that we had derailed! 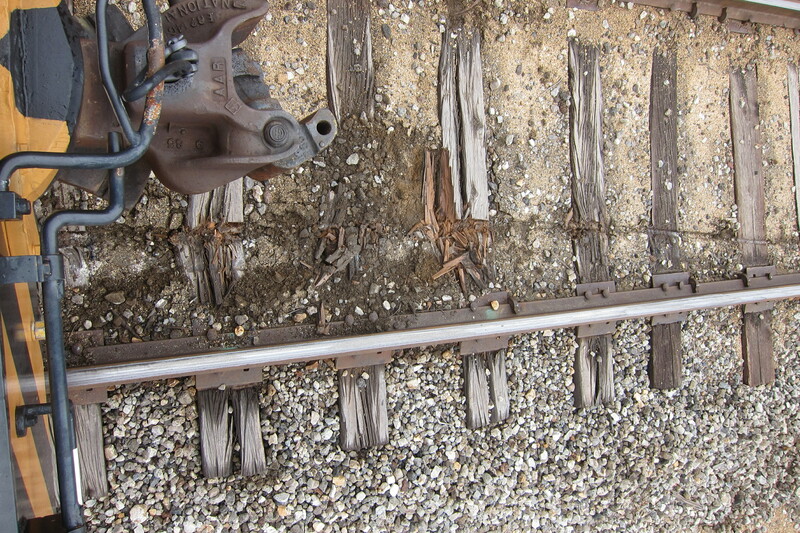 Climbing off the locomotive, it became apparent that “on the ground” meant “not on the rails”. Fortunately, the engineer and crew knew what to do and immediately took charge and started building a makeshift platform. They then stood by to help the folks in the passenger car off the disabled train…including these two attractive damsels in distress. Of course, Kit immediately asked me what I had fiddled with that I wasn’t supposed to, but Jeff came to my defense and said the whole derailment thing was not my fault. 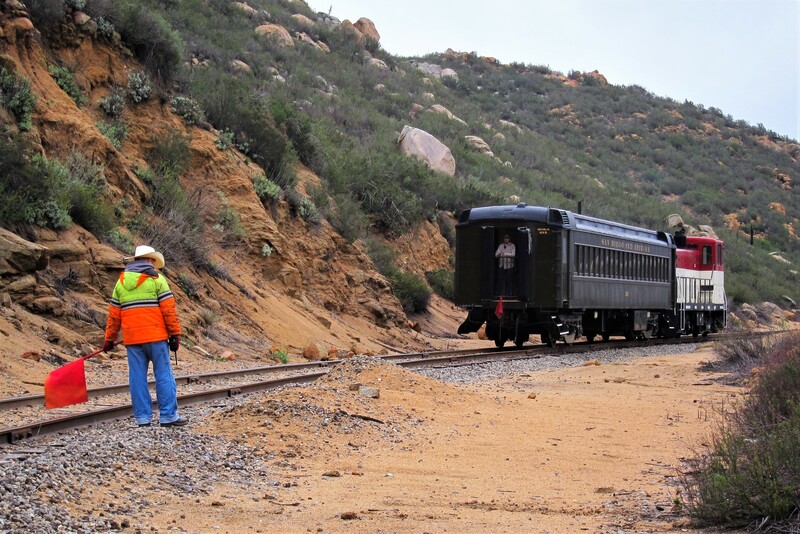 Soon, the rescue locomotive and coach car came around the bend. The passengers were helped onto the coach, then Jeff and I climbed into a new locomotive for the return to the station. 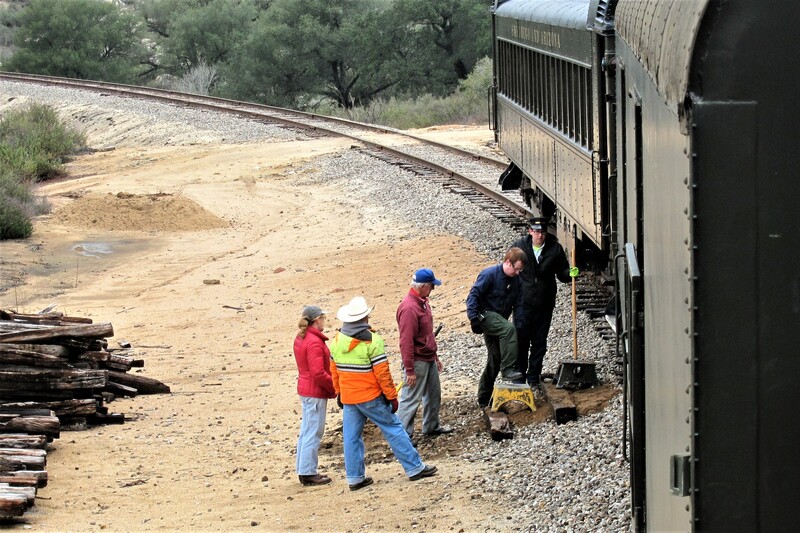 The museum staff was very apologetic and offered to refund everyone’s money, but we decided to let them keep the funds as a donation…after all, it isn’t everyday one gets to experience a derailment while sitting in the cab of a locomotive! Following the truncated train ride, we spent a few hours viewing the antique rolling stock at the museum, such as this 1912 Baldwin Steam Locomotive. 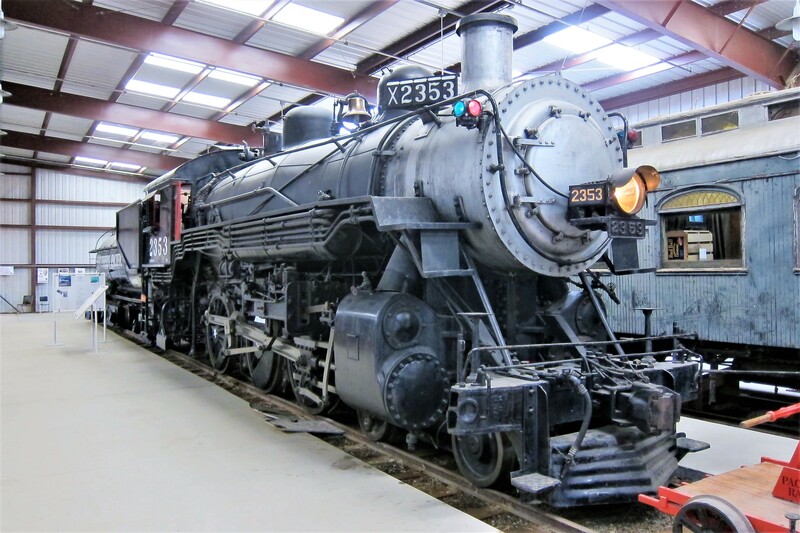 The 215 ton, 82-foot-long locomotive is capable of speeds up to 65 MPH and was in continues service until 1957. Now a museum showpiece, it is fully restored and operational being brought out to steam down the tracks during special occasions. 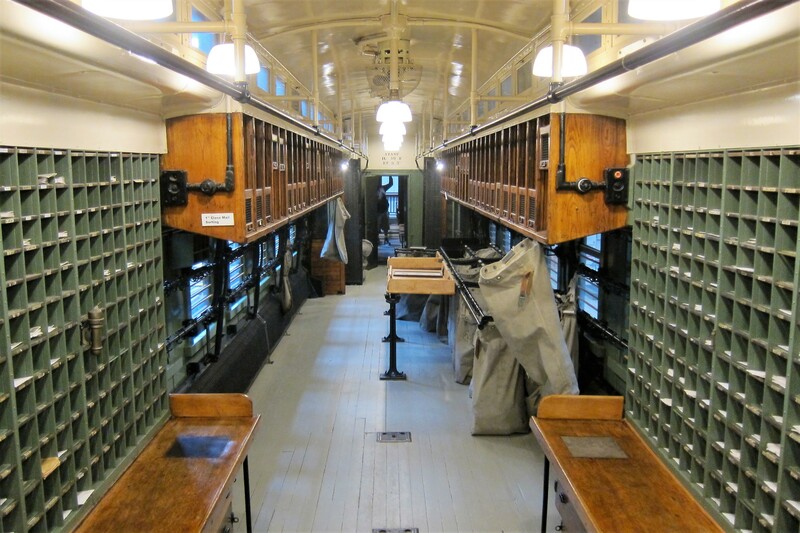 In addition to a number of other rail cars, there is a US Post Office coach that is capable of snatching mail bags from trackside hooks without stopping the train. Then the mail is sorted, bundled and left off at appropriate destination stops…pretty efficient! After an amazing day of railroading, we were a bit hungry. So, since we camped together in this area last year, we knew the perfect place to stop for a bite. Barrett Junction Café is a biker tavern located on the main road to San Diego, and a place we’ve enjoyed a few times in the past. 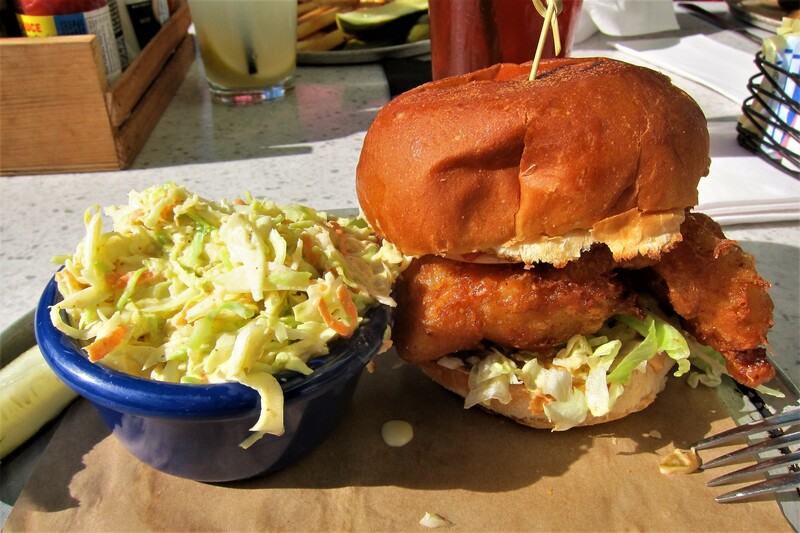 Their specialty is fried fish which can be enjoyed under the watchful eye of this big guy! 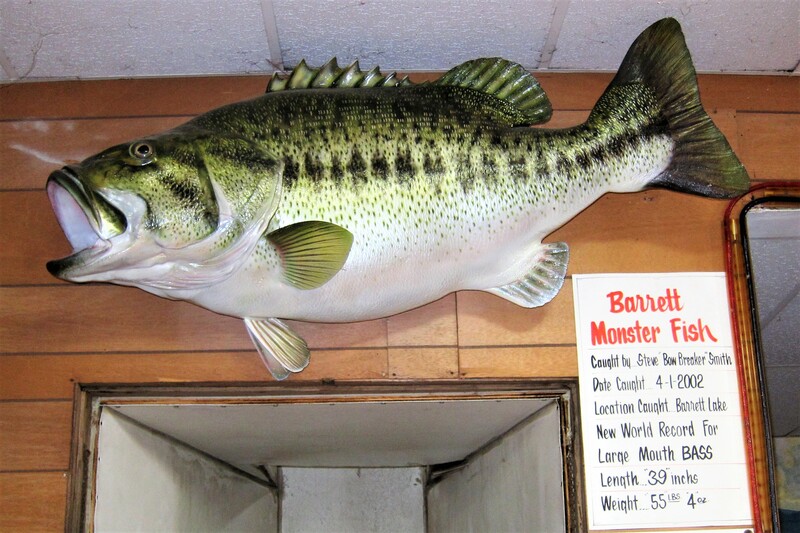 Yep, all you fisherpersons…that specimen is indeed 39 inches long and weighs in at a whopping 55 pounds, 4 ounces! However, looming over our heads as it was, gave one an unusual sense of trepidation as we munched on his kinfolk! 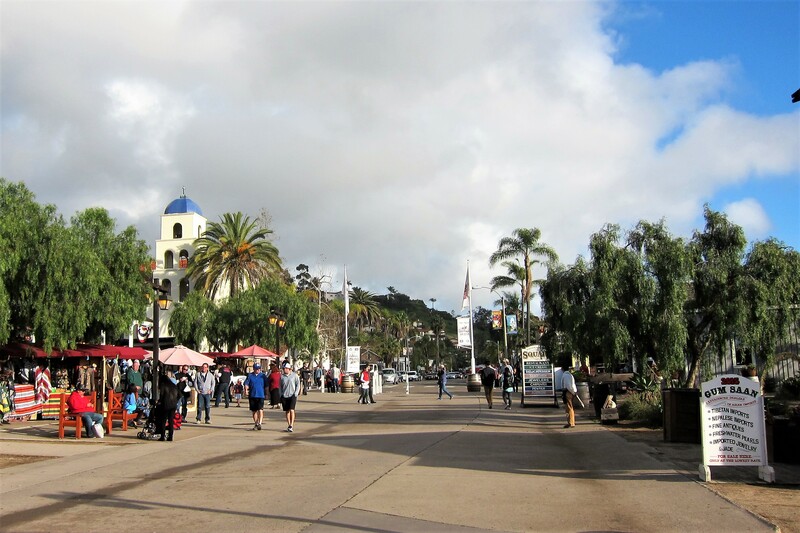 On another day during our stay in San Diego, we went to the historic Old Town section to poke around. 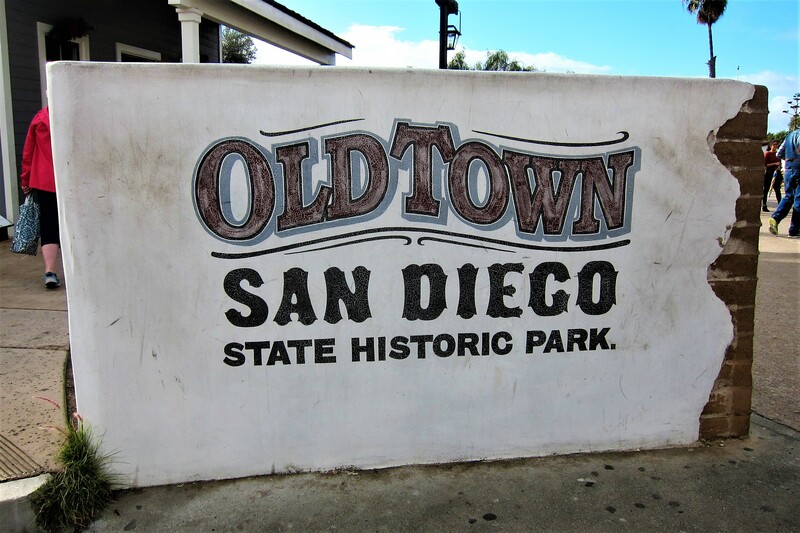 Old Town was the first European settlement in California and grew up around the base of the San Diego Presidio. 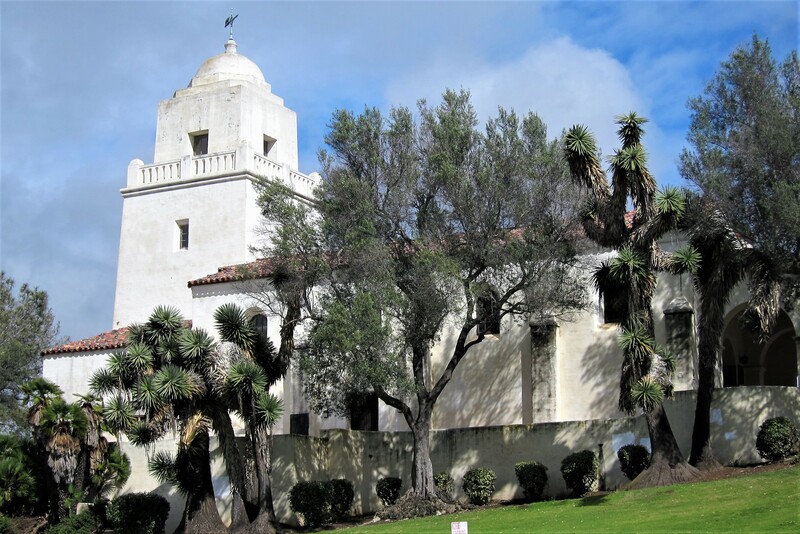 At the Presidio, we learned that the fort was established by the Spanish government in order to lay claim to what was then a part of Mexico. Then following the end of the Mexican-American War, gringos began arriving. 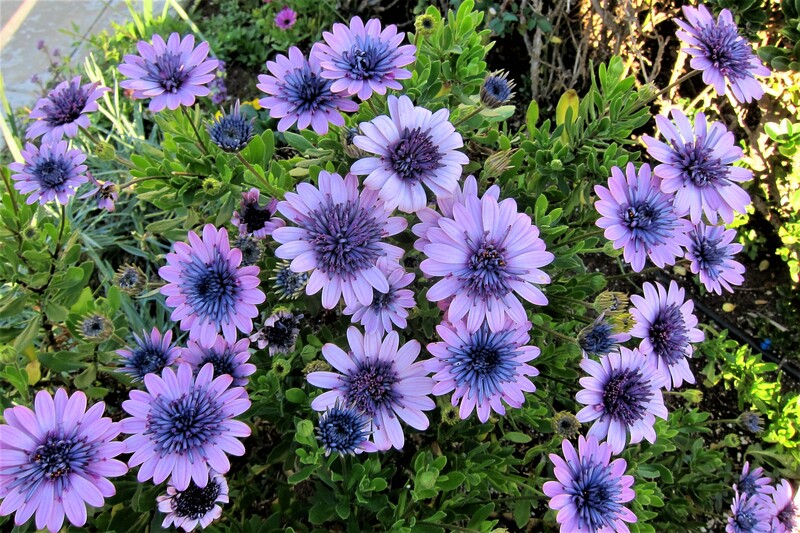 Which settled around the Presidio for mutual protection and the first city in California had its beginnings. 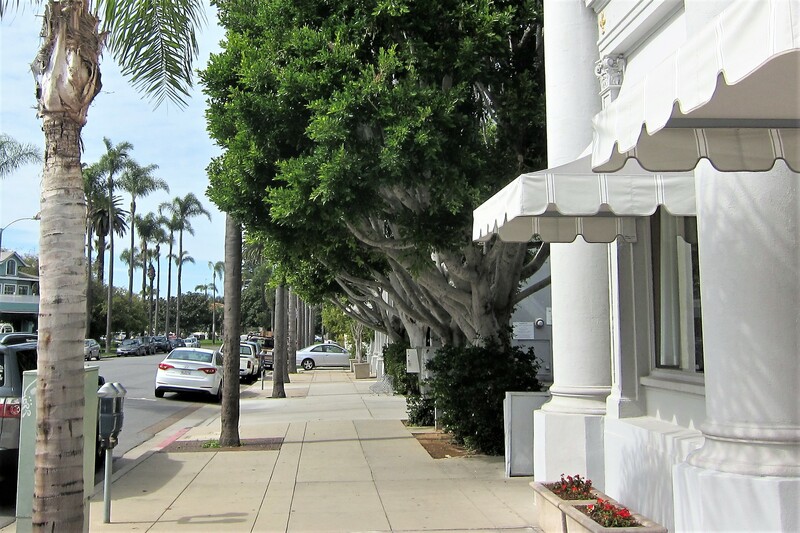 Walking through the center of Old Town gave one a glimpse into those early days of colonization. Spread along the large center courtyard are many shops featuring products and crafts of Mexican origin. 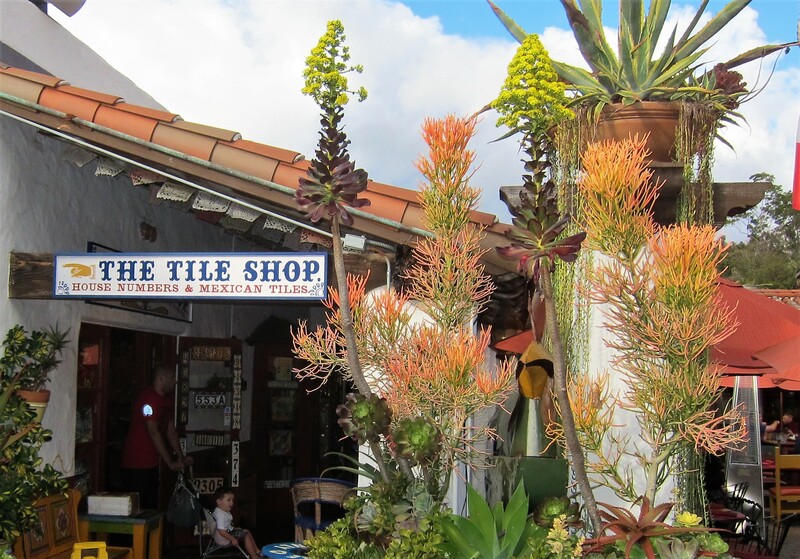 While strolling through this brightly landscaped mercantile, Jeff sensed a nearby Train shop…and he was right! 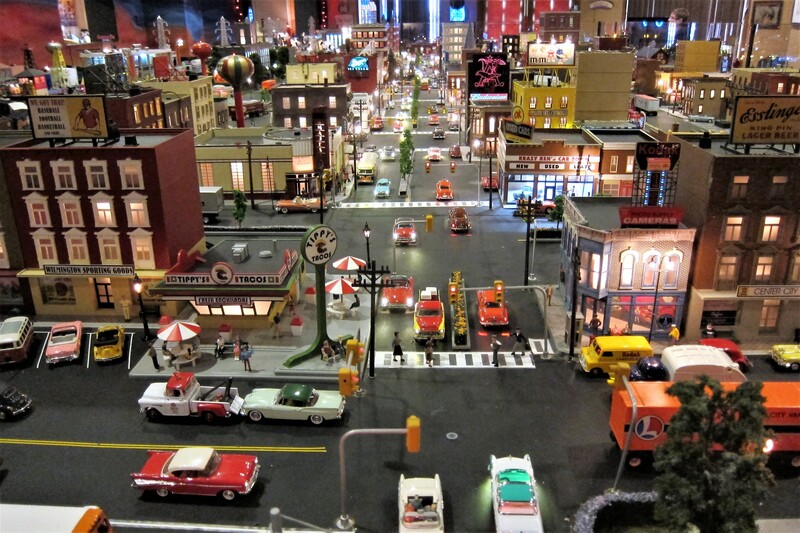 The Old Town Model Railroad Depot is the work of one man’s love affair with model railroading. It is one of the largest privately owned “O” Gauge railroad layouts in existence with 2,500 square feet divided into two sections…daylight scenes in one, night scenes in the other, and all fantastically detailed! 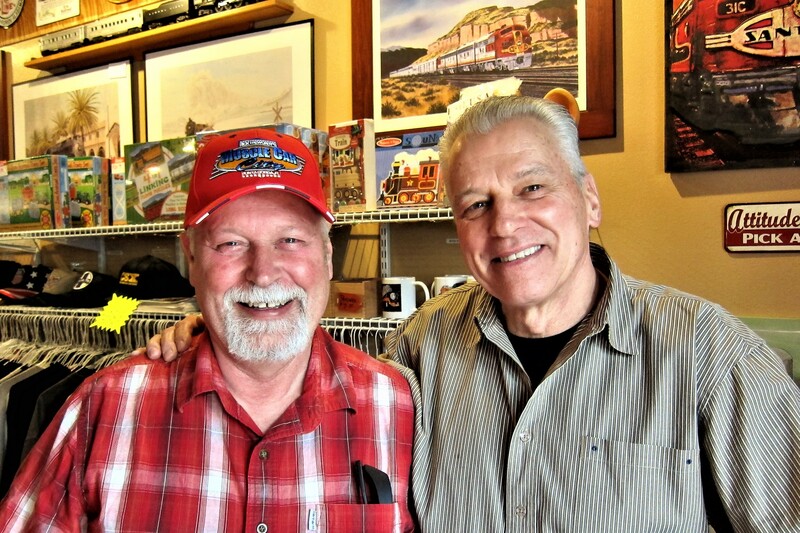 Gary, the owner and proprietor, is a very outgoing and likable fellow that enjoys talking about model railroading…of course, he and Jeff hit it off right away! 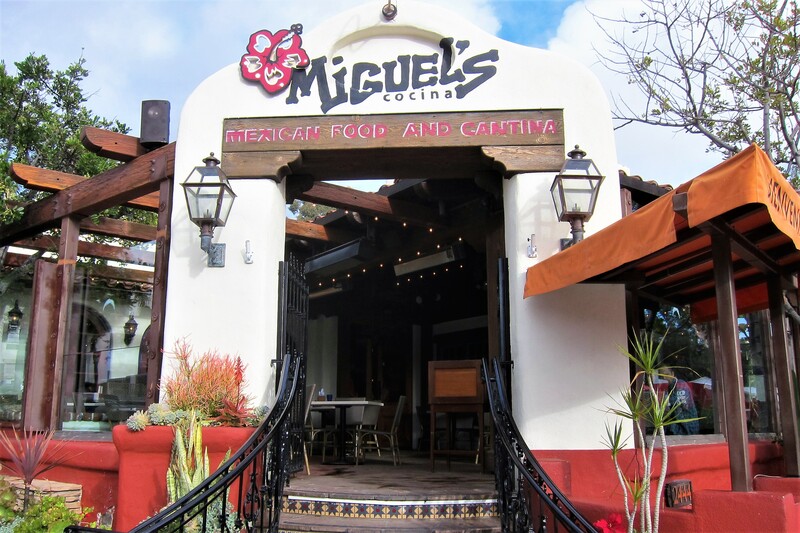 As we exited, Gary gifted us with a certificate for a free appetizer at one of Old Towns better Mexican eateries, which was the perfect excuse to stop in for an afternoon meal. As well as the Cantina! Then with full bellies, we strolled back through the courtyard and stumbled upon this Mariachi Band in full swing. Where a couple of uninhibited women became caught up in the music’s rhythmic beat and took to the dance floor! 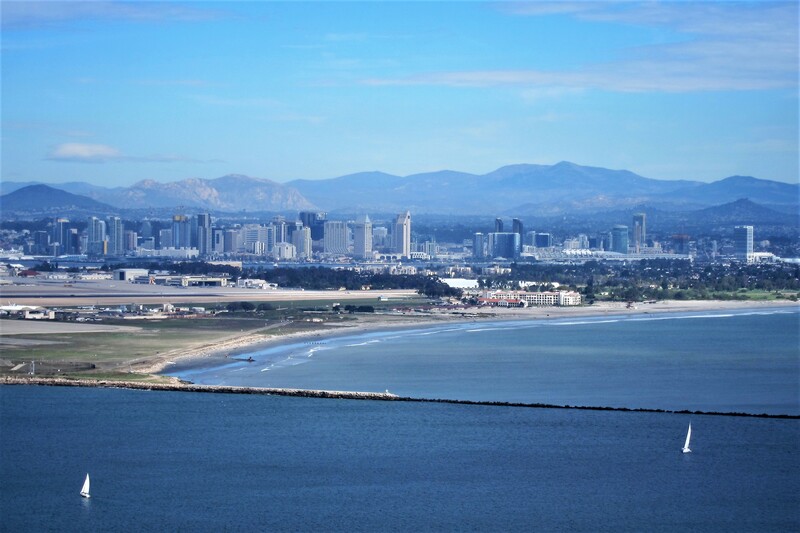 On another classically beautiful San Diego day, we headed for Point Loma and the Cabrillo National Monument which sits on a high promontory overlooking the Pacific Ocean off to the West, and San Diego Bay toward the East. 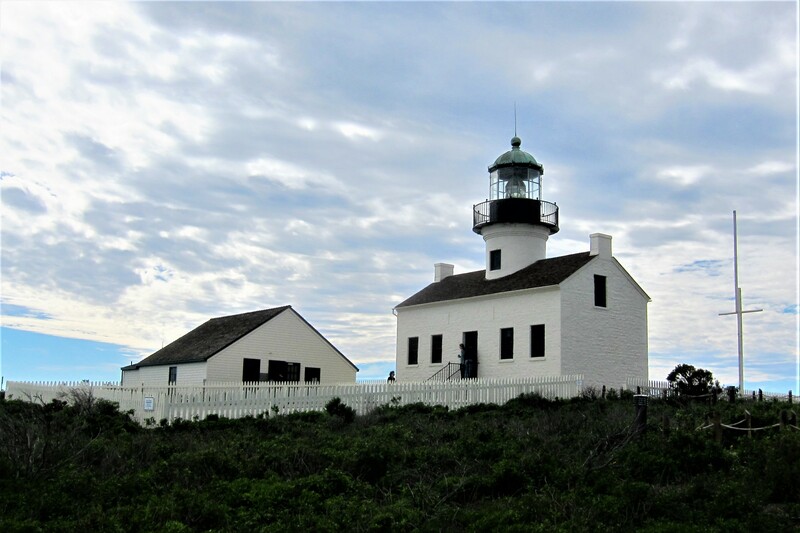 Cabrillo National Monument is the winter home of the historic Point Loma Lighthouse. Commissioned in 1855, the Point Loma Light was built on land that is 400 feet above sea level, which makes it the highest elevation lighthouse in the United States. At that lofty height, the line of sight distance was phenomenal…however, the frequent coastal fog rendered the lighthouse ineffective so it was closed in 1891 and replace by a newer beacon along the shoreline. 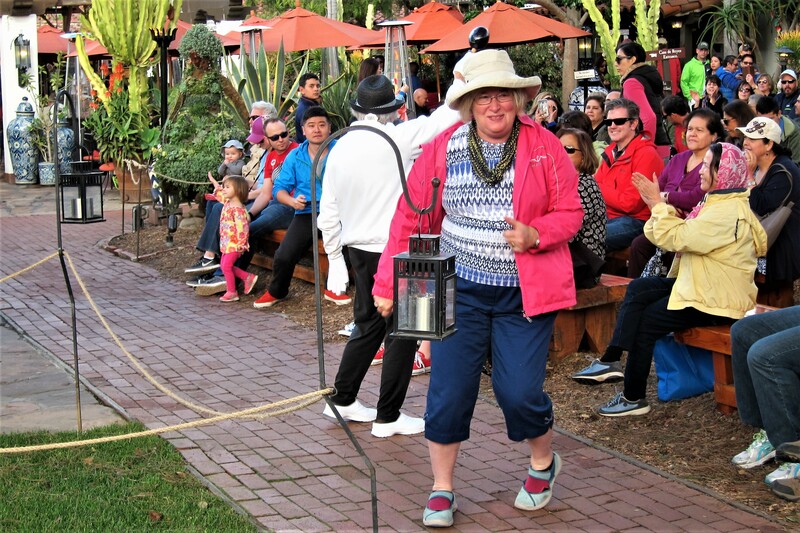 Then, as on que, that darned coastal fog started to move inland, so we decided to head down to visit the San Diego waterfront and enjoy the many vessels that make up the San Diego Maritime Museum. 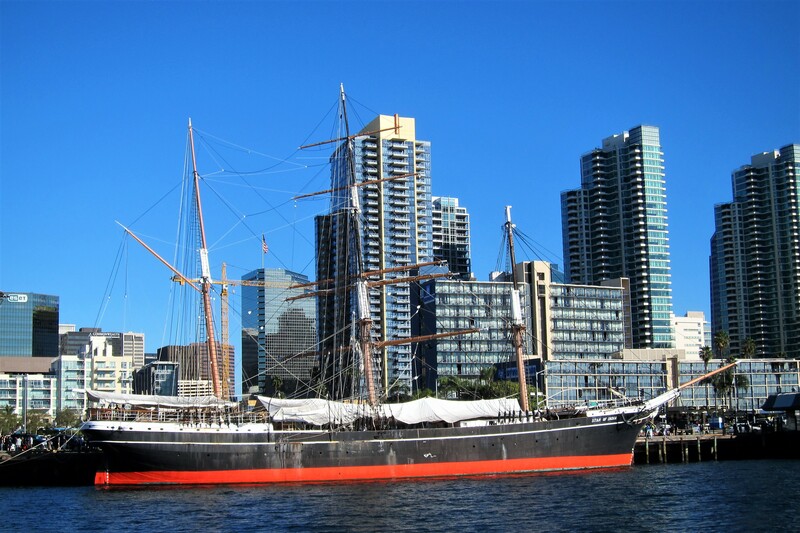 This institution features one of the largest collections of historic ships in the United States…and the star attraction of this 11-vessel fleet, is The Star of India. 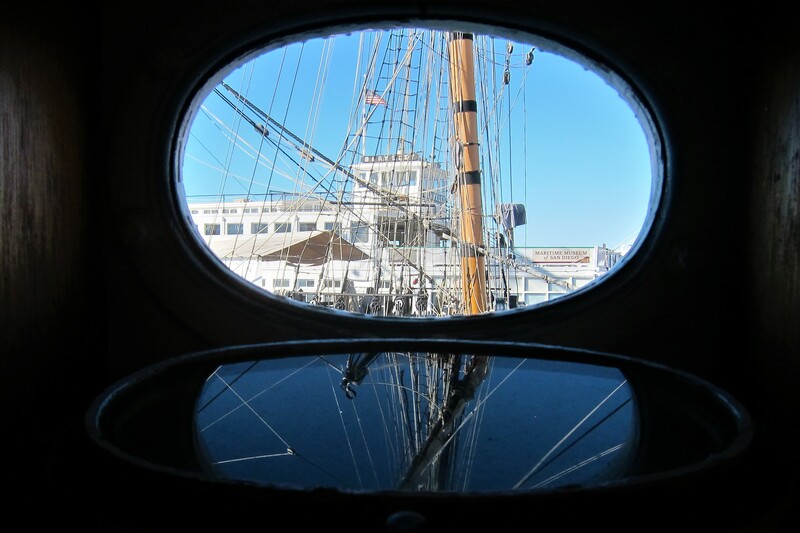 Built before Lincoln’s Gettysburg Address the Star of India is the fourth oldest ship afloat in America, and the oldest that still sails under her own canvas on a regular basis…this 280-foot iron hulled Bargue has never been fitted with auxiliary mechanical propulsion. Of any kind. Kit was a bit worried when I took the helm. All she could think about was the great railroad derailing and how it might have had something to do with me fiddling with something! 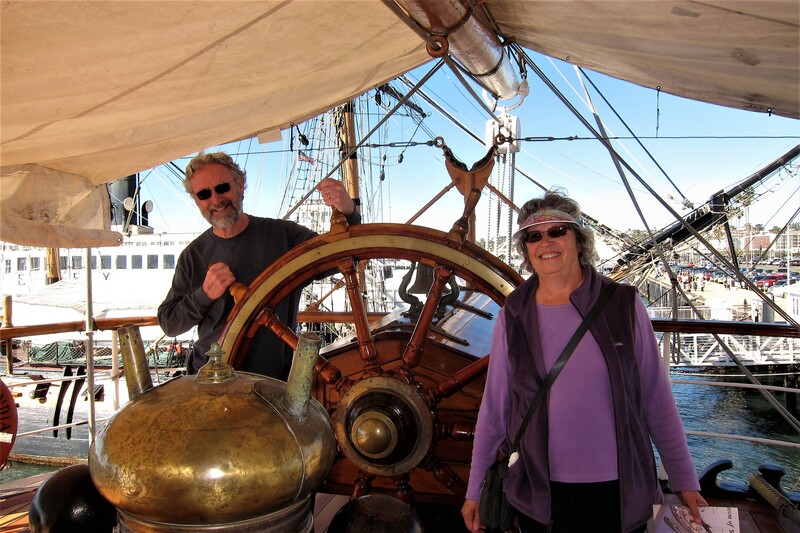 But, alas all is well on this historic vessel which is near 100% authentic…outside and in! 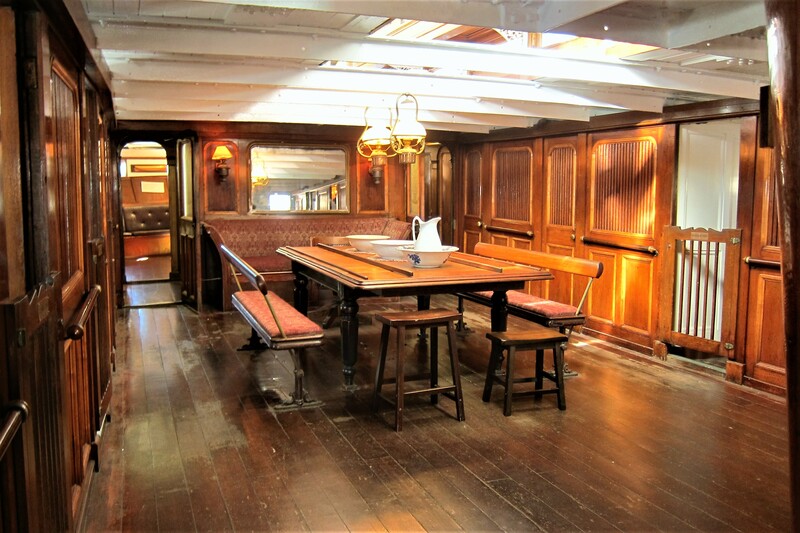 An absolutely beautiful piece of seafaring history, and well worth the price of admission…but wait, there is more! 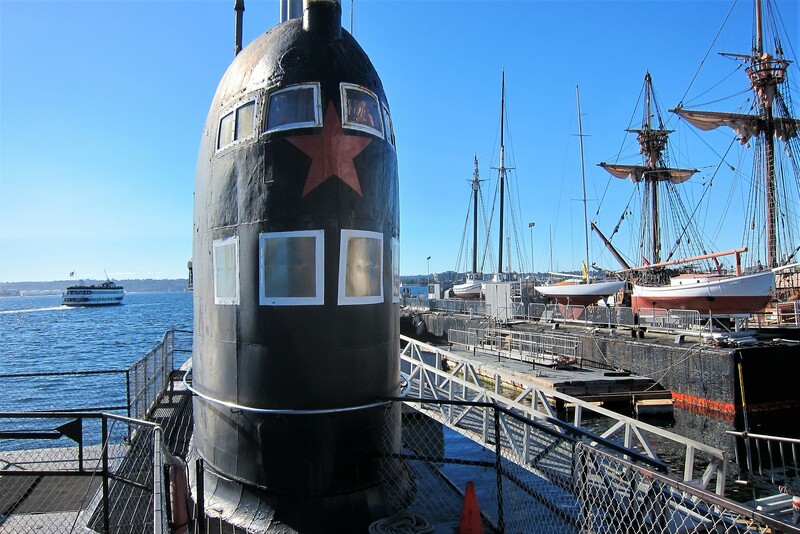 The above diesel powered Russian submarine played an interesting role in the Cuban Missile Crises in October of 1962. Details vary depending whose version one believes, but this sub or a similar one in the group of Russian boats guarding their ally Cuba, erroneously thought they were under military engagement and was preparing to launch a nuclear attack on the US Navy. Fortunately, cooler heads prevailed and the unthinkable was averted. In fact, when the Russian sub was forced to surface due to depleted batteries, the US Navy stood by to render assistance! And this ends another peaceful day in the great city of San Diego! 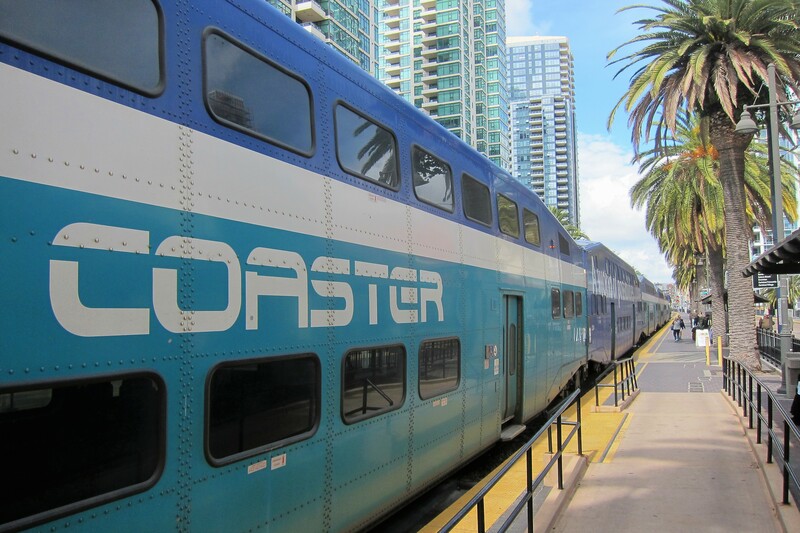 The next morning, in keeping with the week’s train theme, we all decided to connect two modes of mass transportation and visit the coastal village of Oceanside, California. 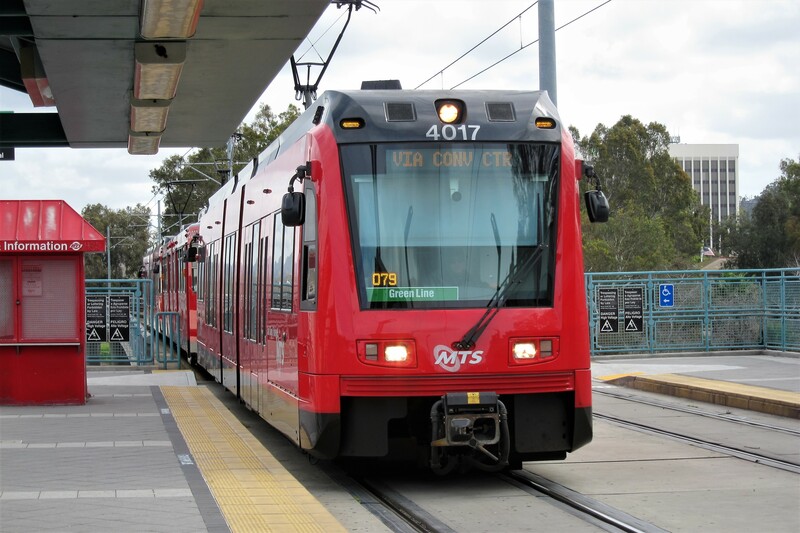 We began the day with a great breakfast, then headed for the nearby San Diego Trolley station. 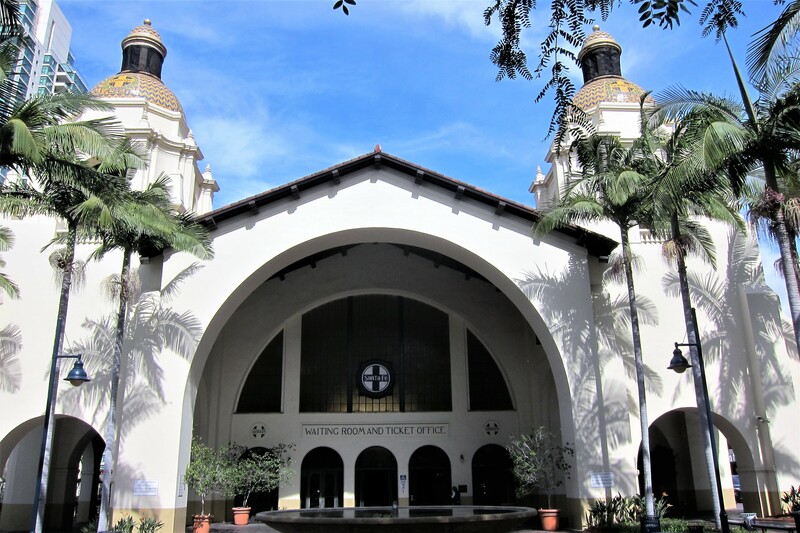 Where a $1.25 fare shuttled us downtown to the historic Santa Fe Terminal. And a $5.50 ticket bought us a seat on The Coaster. 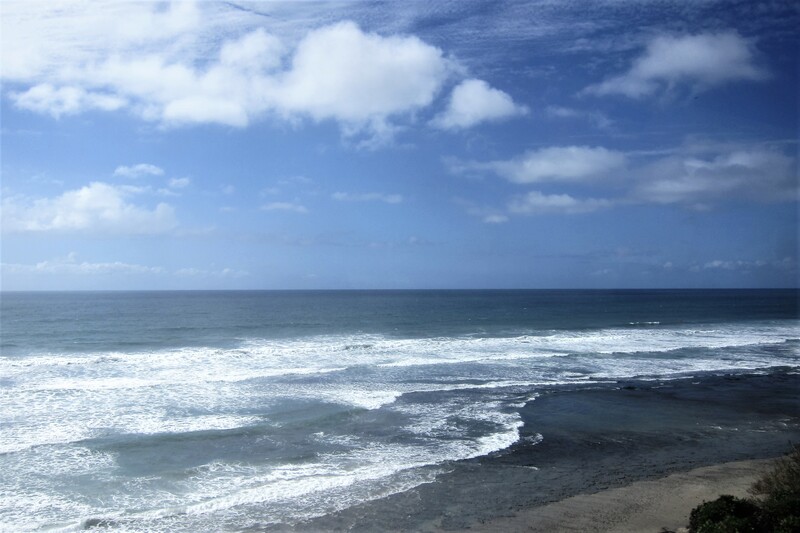 For the one hour, northerly jaunt along the California coastline. In a comfortable scenic cruiser coach. 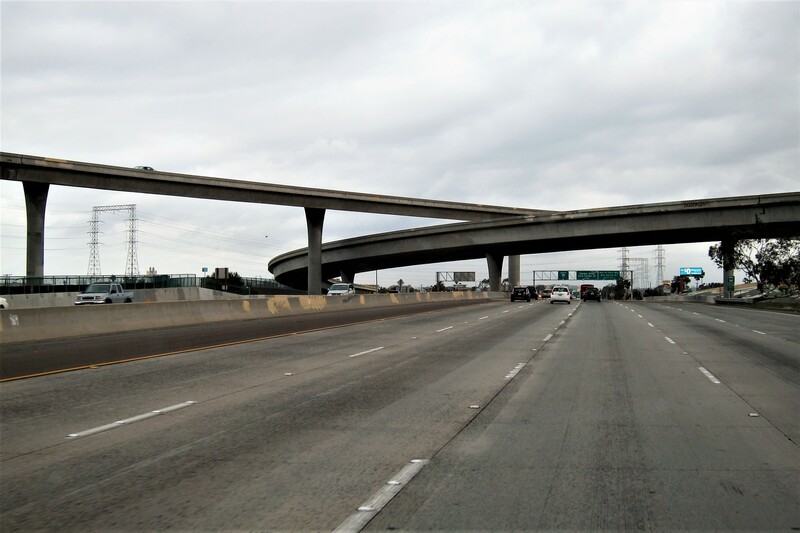 Which was thoroughly enjoyable…and also entertaining as we watched the California automobile-centric folks crawling along the interstate as we zipped on by! 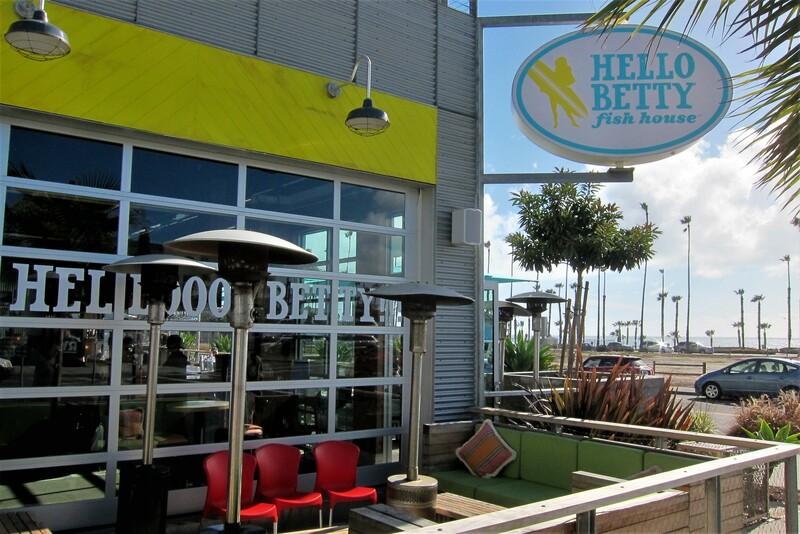 Reaching our destination in time for a late lunch, we discovered a nice seaside fish house called Hello Betty! Where the food was excellent. And the company was as well! 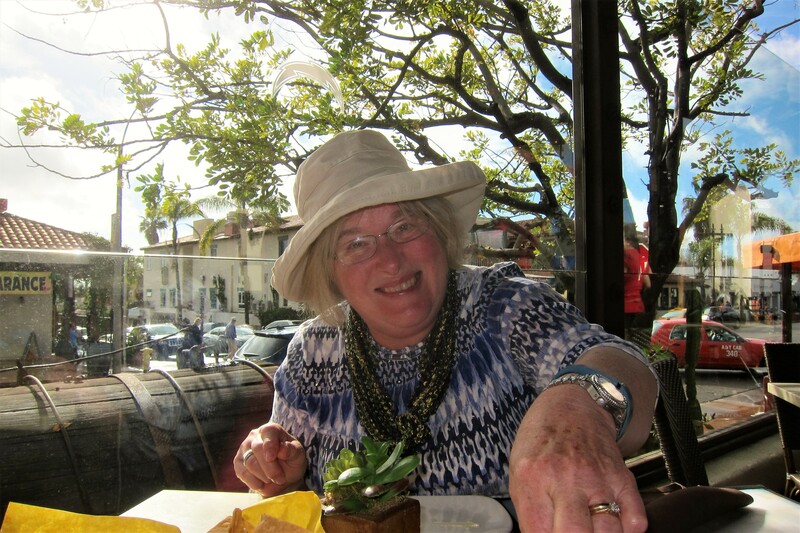 A great day, with great friends, in beautiful California weather…life is good! On the final day with Jeff and Catherine, we continued our railroad fascination and paid a visit to Frank the Trainman! Unfortunately, Frank, who had been in business at this spot since the 1940’s, has passed…but his partner Jim Cooley is alive and holding court in their store. Jim is a spry 96 years old and sharp as a tack! 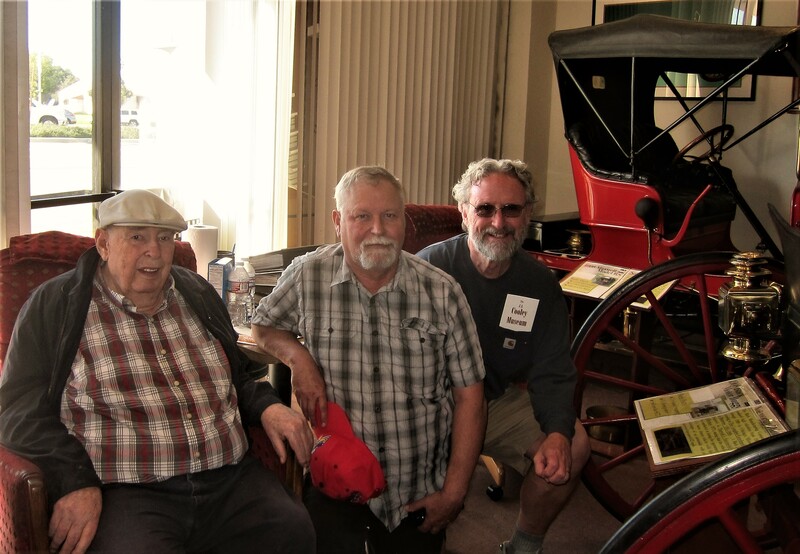 In addition to an extensive inventory of model railroad merchandise, he is an avid antique automobile hobbyist. 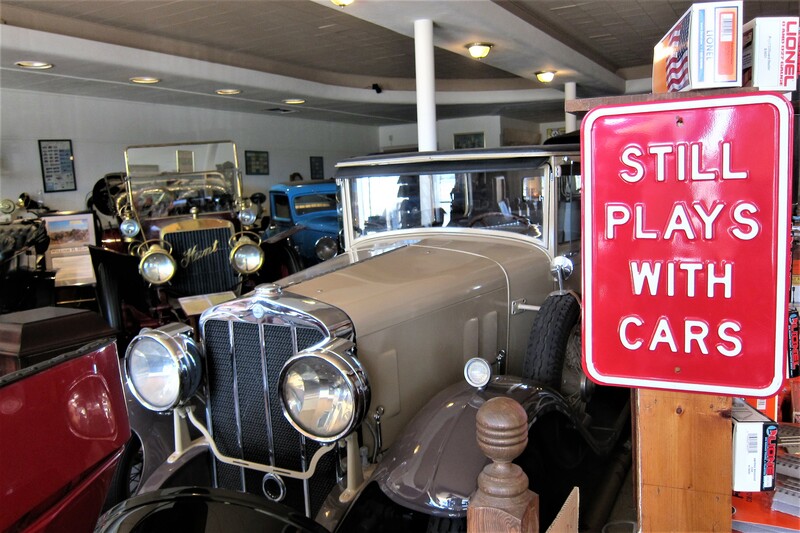 About twenty cars are in his museum located in the same building as the train shop, and, according to Jim, it only represents 20 % of his total collection. Specializing in Brass Era and unique one of a kind automobiles, Jim claims that each and every one of these cars arrived under their own power. 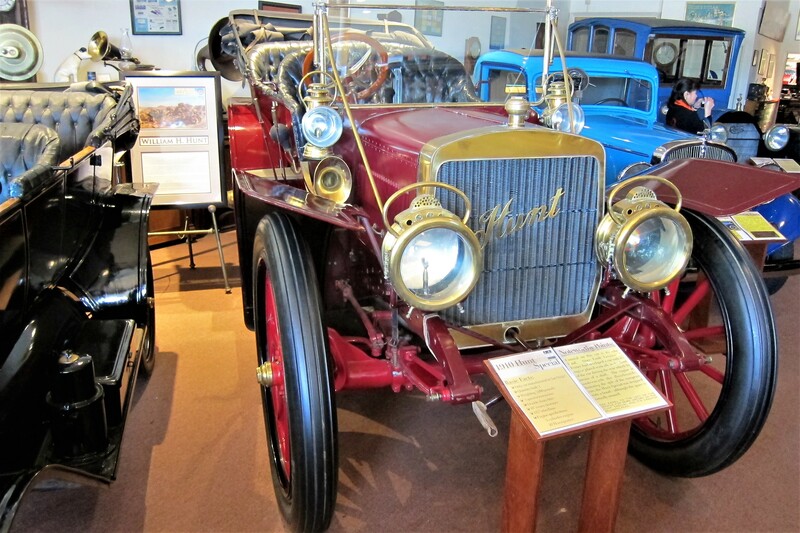 A 1910 Hunt Special, which is the only automobile ever to have been manufactured in San Diego…they only produced one before going bankrupt, and this is it! The massive hood is virtually empty, as the four cylinder, forty horsepower engine is located under the passenger compartment! So why the fake hood? Well William Hunt thought a hoodless car looked strange and would not appeal to the early 20th century motoring public. 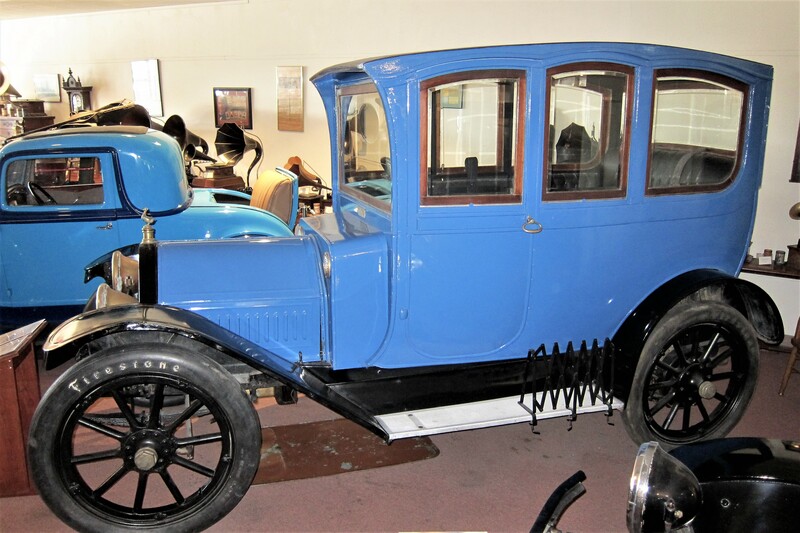 Then there is this 1912 Cartercar. As the only known Cartercar Sedan in existence, this four cylinder, thirty horsepower automobile featured a body made of a papier-mâché type material. It was only manufactured for ten years during which time it struggled due to low sales volume. The founder, Byron J. Carter, had an unfortunate role in the development of the electric starter…Byron was 45 years old and president of his company, when his car stalled on a Detroit bridge. Attempting to start the car with the common hand crank of the day, it backfired and critically injured Mr. Carter leading to his early demise. His best friend, Cadillac founder Henry Leland, went on to design the first practical electric starter in his memory. Next is the 1914 Woods Mobilette a four cylinder, twelve horsepower “cyclecar”. Capable of mileage figures topping 40 MPG, the Woods Mobilette was one of the earliest economy cars produced. However, the extremely narrow automobile, which sat the sole passenger behind the driver, proved to be very difficult to steer and control on the early dirt roads of the day. That and the fact it was competing for market share with the immensely popular Ford Model T, led to the Mobilette’s demise in 1916. The J. 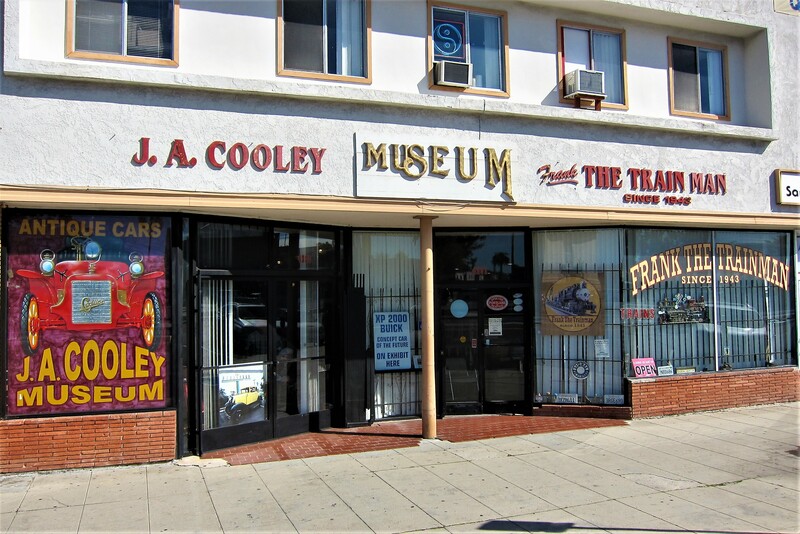 A. Cooley Museum was well worth the price of admission, and although I focused on his automobiles, Mr. Cooley has an assortment of other antiques crammed into his gallery as well. Including a sizable collection of antique model trains, dozens of early cameras, and many clocks, toys, phonographs and brass spittoons! 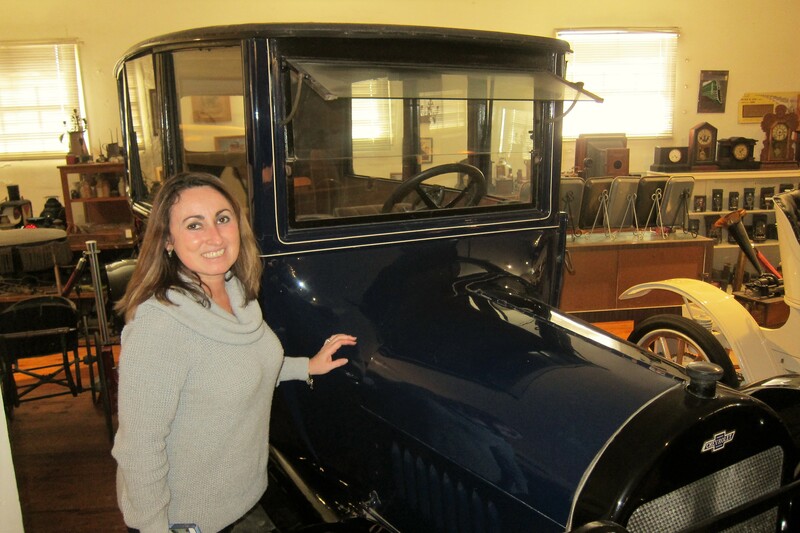 If you visit, you may encounter Jim’s daughter who will gladly show you her 1918 Chevrolet Model FA. 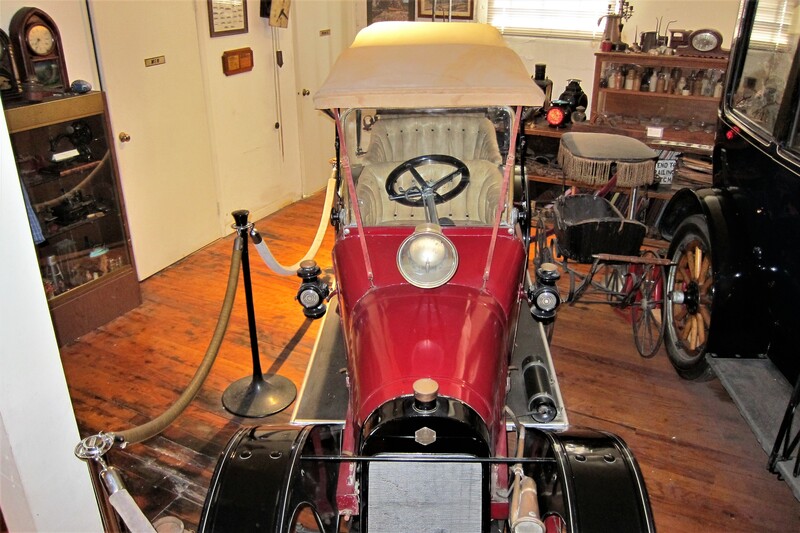 The four cylinder, thirty horsepower automobile has been documented by the General Motors Corporation as the oldest known Chevrolet Sedan in existence…and it runs like a top! 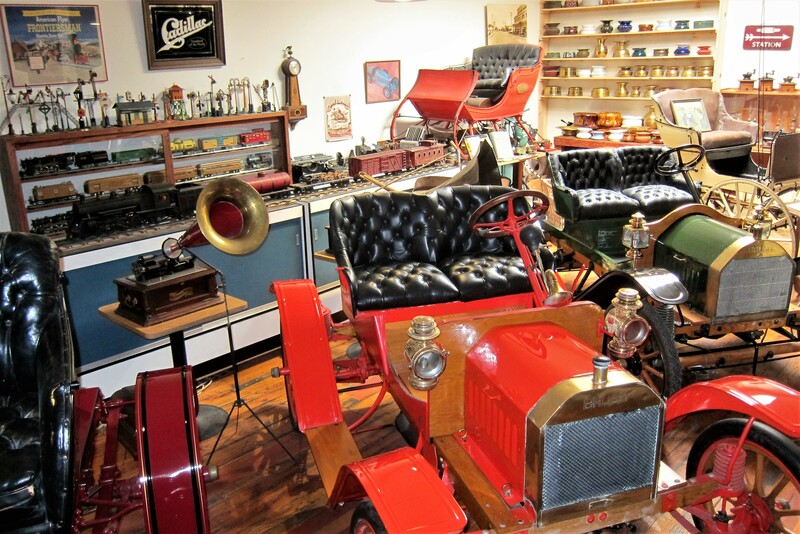 All this in a museum that most folks don’t even know exists…truly a great find! Visit if you get a chance, you will not be disappointed! Kit and I also treated our visitors to a drive about our old teenage stomping grounds. We showed them the homes we grew up in and the close proximity they were to each other…a critical fact when one is dating on foot, or by skateboard! We also drove about the beach area where Kit and I spent a considerable amount time during our misspent youth. Well, all good things need to come to an end at some point, and tomorrow Jeff and Catherine are to return to the road and continue their RV adventure. Goodbye good friends and travel safe…we will see you back in Maine come summer! 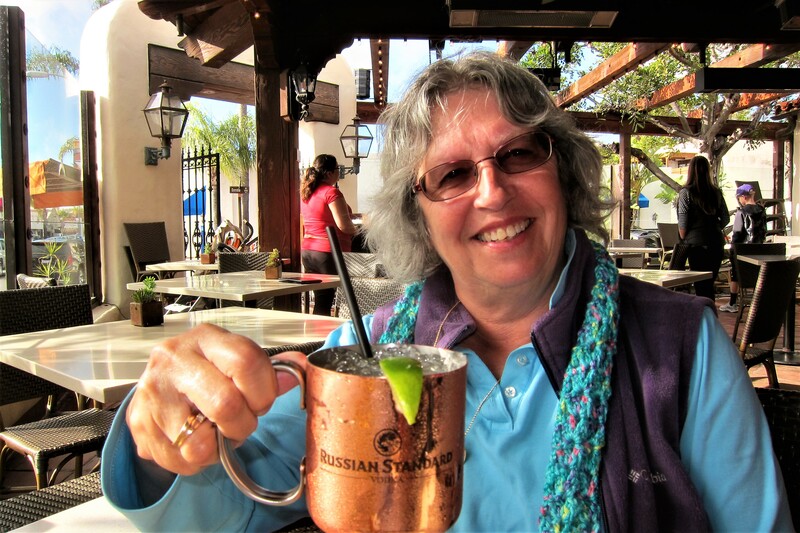 Kit’s Bit’s: We had a very enjoyable time with Jeff & Catherine, touring San Diego! So many things to see and do and many of them, we’ve never taken advantage of. Certainly, we have more time these days to explore the area than when we were kids with working parents, then parents ourselves with kids. Of course, with the nice weather most of the year, and the many places to see and things to do, it’s impossible to do it all. We’re hoping Jeff & Catherine enjoyed a good sampling of what this city has to offer. We thoroughly enjoyed being your tour guides for a few days! This entry was posted in 2017 Excellent Adventure. Bookmark the permalink. 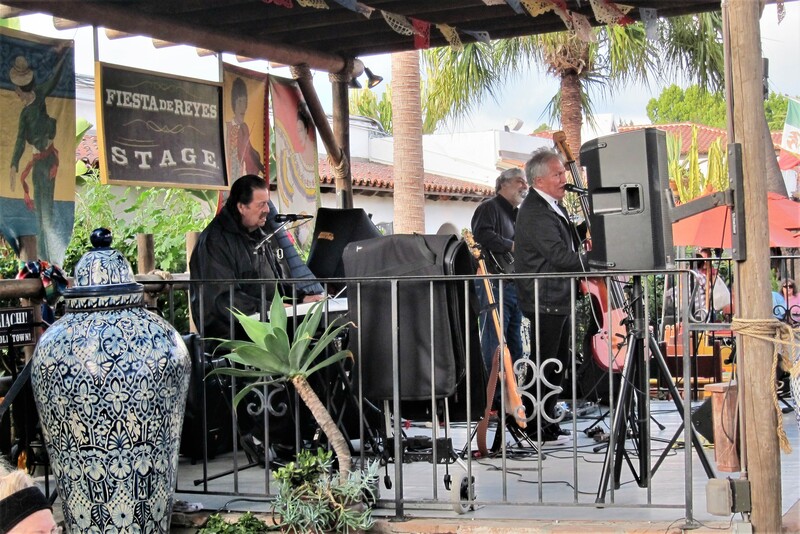 La Pinata’, the BEST Mexican Food in Old Town! Haven’t been there in a number of years…in fact forgot all about it. Kit and I will check it out when we return. Interesting guys – loved the marriage item – good work as always. The condo on the top of the hill in the Admiral Baker RV Park picture is where Dave’s parents used to live. Small world getting smaller! We loved bopping around in Old Town whenever we visited them. What an unusual coincidence! I’ve I’ve taken my morning walk up that hill and have marveled at the panoramic view…bet Dave’s folks spent a considerable amount of time starring out the window! My dad used to work on the “mail cars” around New England, where he was president of the RMA (Railway Mail Association). He also had to snag those mailbags and bring them into the train while it was moving at a pretty good clip! Later he settled down and became post master in Kezar Falls. Sounds like you and the Jacobs’ had a wonderful stretch of time together. It’s nice to be able to share your childhood spots with friends. Continue having fun and we’ll all be together soon. 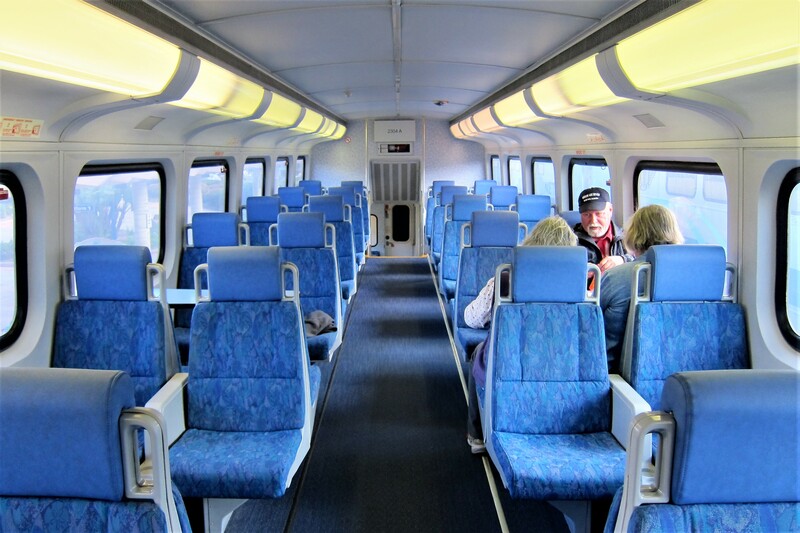 The history of rail service that helped settle and tame America is fascinating…thanks for sharing your families connection.